An FBI electronics technician has pleaded guilty to acting as a Chinese secret agent and passing along sensitive information about the Feds to a Chinese government official. Kun Shan "Joey" Chun, 46, admitted in federal court in Manhattan on Monday that he violated his security clearance on several occasions between 2011 and 2016 in an effort to pass on secret information to China in exchange for money. Chun is a 19-year FBI veteran from Brooklyn who was born in China but was employed by the FBI in 1997. His duties with the FBI included "accessing sensitive and, in some instance, classified information." 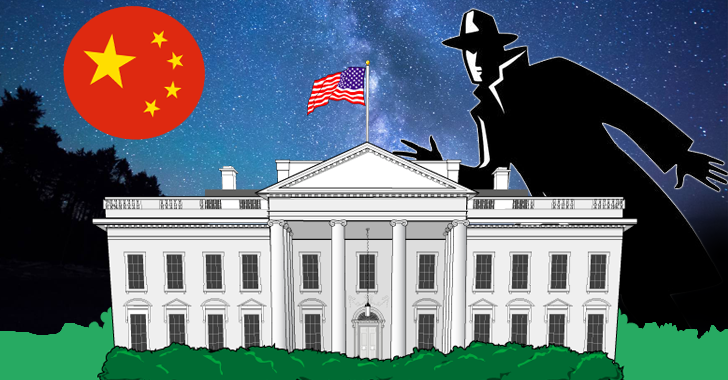 The g-man, as a double agent, sent confidential government information – including the identity and travel plans of an FBI special agent, the internal structure of the FBI and spying technology used by the Bureau – to a Chinese official. Chun, who was initially arrested in March, got a top secret security clearance in 1998, at the time he did not reveal he had ties to China. A court document unsealed on Monday stated Chun had built relationships with associates in China since 2006 and had ties to China-based Zhuhai Kolion Technology Company and one individual who described himself as a Chinese government official. Chun acted as a double agent – working both for the FBI and China – and began passing sensitive information to the Chinese official between 2011 and 2016. In addition, Chun had long-standing and illegal ties to China-based Zhuhai Kolion Technology Company, for which he did research and consulting work, including collecting information about flash drive tech. In exchange for his research, Chun was paid-for vacations and nights with prostitutes by Zhuhai Kolion Technology, and his parents were given money, officials said. Preet Bharara, Manhattan’s top prosecutor, said the crime "betrays our nation and threatens our security. When the perpetrator is an FBI employee, like Kun Shan Chun, the threat is all the more serious and the betrayal all the more duplicitous." Chun was caught by a fellow FBI undercover agent, who posed as a contractor for the Department of Defense (DoD) in a 2015 sting operation. The techie fell for the trap and recruited the agent to pass on "sensitive information to his Chinese associates," in exchange for a cut of any profits. The maximum sentence for Chun's criminal charge is ten years behind bars. He was released on bail following the court hearing. He is scheduled to be sentenced on 2 December.